We mooved here because the extreme long comment section have to end. Rohloff Shifter - Any Tips? I'm considering a Rohloff Speedhub for my next bike, but I like drop bars. The factory Rohloff shifter is a grip-shifter that mounts on 22.2mm diameter straight bars, rather than 23.8mm drop bars. Because the indexing for the hub is all in the hub itself, rather than in the shifter, I think I could design and print a pretty nice grip shifter for drop bars, or possibly some sort of fat lever shifter, even. The most reasonable drop bar mounted solution that I'm aware of is Comotion's $250 shifter, which looks very nice, and seems to be milled out of nice metal parts, but frankly, I'd rather design and print something, so that a not-$250-solution will exist. I don't think the actual CAD bit will be all that difficult; I have a fair bit of OpenSCAD experience, and the parts aren't all that complicated. I think. But, I'm wondering if anyone here has any tips about designing long-wearing all-weather printable bike parts. I'm also wondering if anyone around here owns a Speedhub and would be interested in beta testing. I don't have that bit yet, and while the spec sheet from Rohloff is quite detailed, there's no substitute for trying it out. Any great bike hack you would like to share ? We're a FabLab trying gather great projects about bike hacks in general, do you have anything in mind that would fit ? And if you're working on any project we'd be eager to help ! I am unsatisfied with the commercially available bike lights. They are either expensive, use uncommon battery types or can easily be stolen (when left on the bike). Therefore I am willing to design a custom bike light. However, I could not do that on my own. I already made some sketches for the design, but I lack the technical knowledge for the circuit. 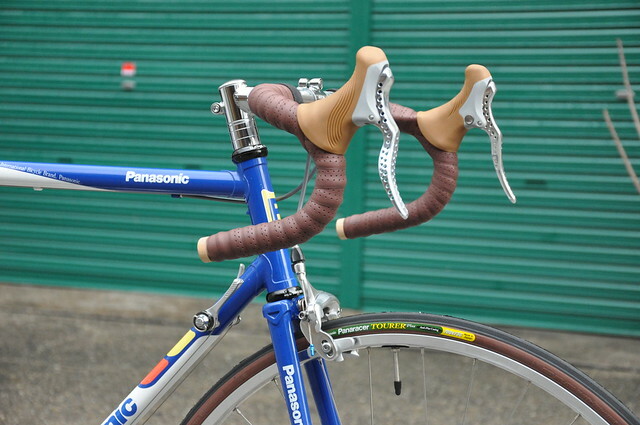 The Tektro RRL brake levers are arguably the best drop bar brake levers I've ever seen. The Tektro RL-340s & similar models (short pull version) are decent, but could be made more comfortable (in my opinion) if they had a smooth transition between the hood & the tops, in a modern style (see any current Shimano, SRAM, or Campagnolo brifter-to-handlebar transition). TRP packages an extra shim with their RRL levers to achieve this effect: http://trpbrakes.com/pubs/RRL%20Brake%20Lever%20(B5).pdf (instructions). Purely by guess, I think the shim may also work or be easily adapted to other Tektro models, & maybe beyond those too; I'm assuming the plastic body is roughly the same where it contacts the handlebar, so filing could bring it into a good shape. Perhaps using 3D scanning, the shim can be modeled for ease of 3D printing. Without the shim, users are forced to choose a very "classic" hood-to-handlebar position (https://farm8.staticflickr.com/7063/6936342796_7a6741ee54_z.jpg) which hurts my & probably other people's wrists. I've been getting by using old/broken Shimano brifters as brake levers, but this can be an expensive/hard-to-get alternative for other people. I don't have one of these lovely brake levers though, & guessing the (intricate) geometry behind them is out of the question. Does anyone have one?